In July 2018, new rules for UK drone owners came into effect, bringing with them potential implications for drone insurance. The changes, coupled with additional new drone regulations set to be enforced by November 2019 and the proposed Drone (Regulations) Bill 2017-2019, will affect many hobbyists as well as commercial fliers. But do you understand exactly what the rules mean for you? Wouldn’t it be great if there was an easy way to familiarise yourself with the regulations and a helping hand to take the right steps to comply when they are enforced? Here we answer your questions on the changes and explore the impact on requirements for drone insurance too. Why have new rules for drones been drawn up? Drone sales have soared in the last few years. And so have the number of incidents that drones have been involved in. There were a reported 93 near-misses between drones and aircraft in 2017, up from just 6 in 2014 according to the Civil Aviation Authority. So it was always only a matter of time before safety and regulatory issues would need to be addressed. The new rules have been introduced to help to reduce the number of incidents and ensure drones are flown safely. And additional regulations are scheduled to become law by November 2019. This will provide a database that will make it easier for the Police to identify the owner of any drone. And it will make it clearer for drone pilots to know where and when they can fly. What are the current rules for flying a drone? 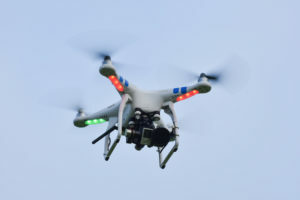 The regulations which came into force in July 2018 also state that it’s now illegal for commercial drones to fly above 400 feet and within one kilometre of any airport boundary. What happens If I don’t stick to these drone user rules? What are the additional new rules for drones? Further changes are scheduled to come into force in November 2019. These will affect thousands more drone pilots. Drones over 250g will have to be registered. Currently only drones over 20kg must be registered. 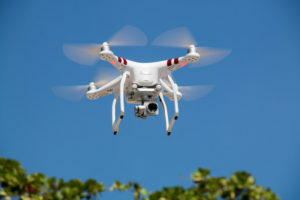 This significant change means thousands of commercial and recreational drones will need to be registered in the future. To give you a rough idea, 250g is just under the weight of two iPhone 6’s. Drone pilots will need to take special safety awareness tests. These are designed to ensure that anyone flying a drone knows the relevant safety, security and privacy regulations. A new database of sensitive sites and buildings will be created and manufacturers will install “geo-fencing” sensors to prevent drones from taking off in or entering these areas. When do these new rules come into force? The additional drone regulations will come into force on 30 November 2019. What will happen if I don’t comply with the new rules when they become law? The new rules will give the police much greater powers. If requested, you’ll have to show your drone registration details. If the police consider that a drone is being flown unsafely or illegally, they will be able to seize it and you could be prosecuted. Drone users who do not register or take the competency test will face fines up to £1,000. How will I know if I am flying in an illegal area? Apps will help drone pilots to make sure they are not flying in or into a no-go zone. These will also help other drone users to see who is fling and where, which can help to prevent crashes. Geofencing, a virtual boundary, will be used to alert you if you are close to a no-fly area. What is the Drone (Regulation) Bill 2017-2019? The Drone (Regulation) Bill 2017-2019 is a Private Member’s Bill that seeks to regulate the purchase of drones weighing 5kg or more. Some of the steps outlined in the Bill to make the skies safer includes banning children from owning drones that weigh more than 250g. And the Bill proposes to give police the power to confiscate drones and issue on-the-spot fines to irresponsible pilots. It had its first reading in the House of Commons in September 2017. The Bill is currently being prepared for publication and is scheduled for its second reading on 15 February 2019. Will insurance for drones become compulsory? The current law states that if you are flying commercially or your drone weighs more than 20kg, insurance is required. Drone owners and insurers are now closely watching to see if insurance will be made mandatory for lighter drones in the wake of the new legislation. When compulsory registration comes into force for drones over 250g, the police will be able to identify the owner of any drone that causes any damage or an accident. With that in mind, some people feel that public liability insurance will need to become compulsory for flying, just as third party insurance is essential to drive a car. By way of comparison, there was a similar situation when the automobile first took to the streets. Insurance was not obligatory at first until the risks became known and legislation was introduced. Even if you don’t need drone insurance by law, having it will give you peace of mind. Things can easily wrong. The high costs of paying out legal fees or replacing your drone means insurance can save you money in the long run. Is my recreation drone covered by my household insurance? Most standard household policies exclude aircraft or motorised vehicles. There is much debate about whether a drone falls into that category or could be described as a toy. Keen to protect themselves, many insurance companies now have specific exclusion clauses for drones, even if they are only toys. To find out if your drone is already covered by your home insurance you should check directly with your insurance company. Be aware that although your drone may be covered by your home insurance for theft or damage whilst it is within your property, it may not be covered whilst it’s being transported or flown. And it’s unlikely to protect you from a claim of public liability. If you want this level of cover you’ll need to take out a separate policy. The cost of drones can rise into the £thousands. Check the individual limit on possessions for your household insurance policy. Depending on the cost of replacement you may need to add your drone as a specified item on your home insurance policy. And remember, that may only cover you for damage or theft from the home. If your drone is stolen when you’re not at your property, it’s unlikely it will be covered. You may decide it is easier to take out specific drone insurance. Do I need any other insurance cover for my drone? Public liability insurance is a big consideration for all drone owners. Drones are capable of doing substantial damage to property or to people if they crash. Accidents can and do happen. Even if you are flying safely you could find yourself facing a legal claim against you. Public liability insurance will pay out for the cost of legal fees to defend your case as well as any compensation you are ordered to pay to an injured party. Personal injury and damage to property are not the only legal claims you could face. If you fly a drone fitted with a camera, you could also face action against you for breaching data protection and privacy laws. Again, insurance can help you to pay your legal fees in these cases. If you’re not sure where it is safe to fly your drone, download the Drone Assist app from NATS, which shows you areas to avoid or to fly in with caution. Whilst you currently don’t need to register a personal drone in the UK, be aware that the law is different in other countries. Always check before you fly when you’re abroad. 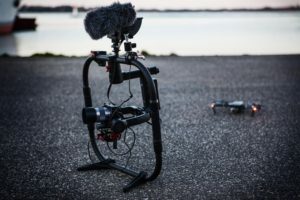 Until the new drone laws come into force in November 2019, you don’t need insurance to fly most hobby drones. However, it may be prudent to have it anyway. And with the new laws scheduled, it could be only a matter of time until you will need it by law. 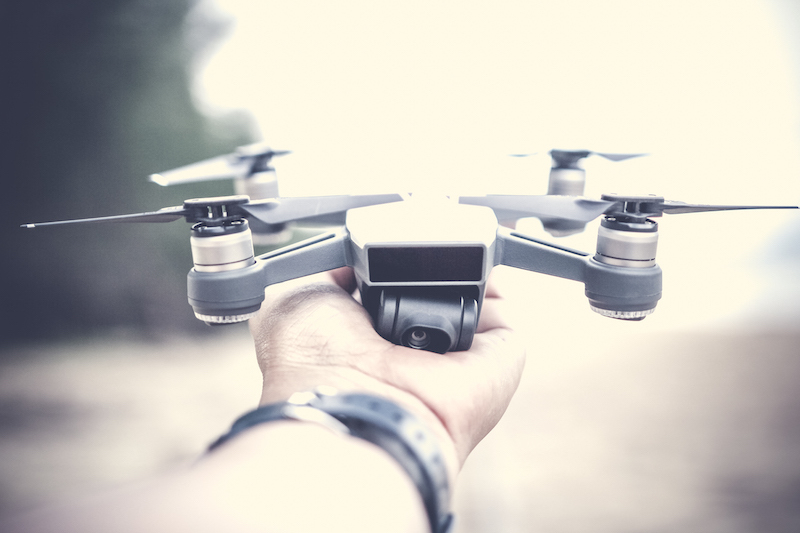 When must I insure my hobby drone? Currently, you’ll need insurance to fly any drone that weighs 20kg or more for fun. But even if your drone is lighter than that, it’s worth considering insurance for peace of mind. Hobby drone insurance can help protect you financially if something does go wrong and your drone causes an injury to someone or damages property. It also covers you if you are sued for privacy issues. And as hobby drones can cost upwards of £5,000, it’s also worth considering insuring your drone against damage or loss so you can be confident that you can go out and replace it if something happens to it. Is it just you who will be flying your drone or do you need cover for multiple pilots? Do you have more than one craft that you would like to insure? Do you want insurance to cover the cost of fixing or replacing your drone if it is damaged in flight? Are you flying in the UK only or abroad? Do you want insurance to cover you during competitions? Regardless of the upcoming legislation, if you fly a drone commercially it must be properly insured. Without the right commercial insurance, you can’t apply to the Civil Aviation Authority for your Permission for Commercial Operation. If you do fly your drone without this permission and the right insurance, you can be fined. The weight of your drone will determine the level of liability cover that you must hold by law. And there are also lots of other considerations you’ll need to take into account if you’re looking for commercial drone insurance. Will you be flying your drone in a ‘hazardous’ location? This could be in a city, where you may be prone to cause more damage to others if something goes wrong, or over water. Are you planning on flying your drone in a country other than the UK? If so, are there any restrictions on travel to these locations? You will need specialist commercial insurance if you are planning on flying your drone in a country that the Foreign and Commonwealth Office has advised against travel too. Do you need insurance cover for supporting equipment? if so, make sure this is included in your commercial drone policy. To be eligible to take out commercial drone insurance you’ll first need to pass your ground school theory exam. Once you have your insurance in place, you’ll be covered whilst you complete your training as long as you fly with a qualified trainer. Depending on the training, you may face higher excesses on your insurance if you do make a claim. And there may be certain exclusions, so check this carefully with your broker. For the best value deal, shop around or ask a specialist drone insurance broker, like Park Insurance, to do this for you. Park Insurance offer commercial drone insurance to businesses of all sizes. And we can provide you with a great value quote for hobby drone insurance too. Because we’re independent brokers, we’re free to scour the market for the most competitive price. We’ll source cover that is tailored to your specific needs. That means you get the level of protection you need without paying over the odds. Call our friendly team on 0117 955 6835 or get a quote today.